Programmers are a team of specialists dedicated to the implementation of tailor-made IT solutions. 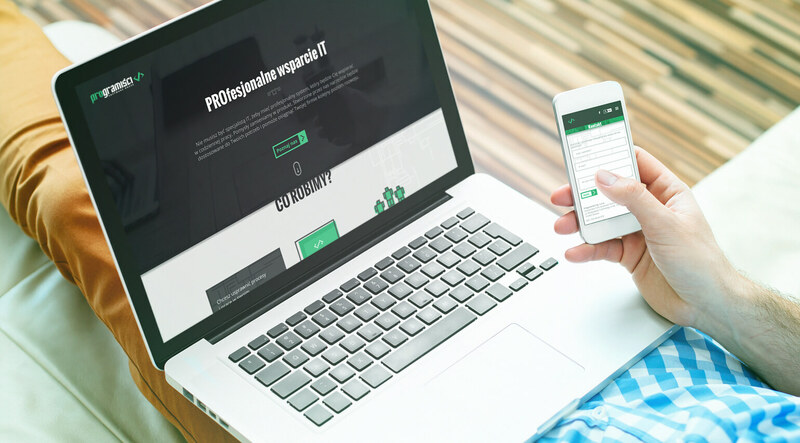 Their corporate website has been designed and implemented in responsive web design technology, thanks to which it is displayed correctly on mobile devices. The main eye-catching element of the website is a professional movie that has been placed in the top of the page. Original icons designed to be pixel patterns give the whole image character. Interesting effects on the website not only distinguish it, but most of all they attract the eye of a potential customer. Our task was to implement effects that would not burden the activities of the company’s website. We have therefore suggested an unusual menu, which can be opened and distinguishes the page in comparison to the competition and small effects on rest of the website. In addition to the website, which was the next stage of the work, we also designed a visual identification of the company. 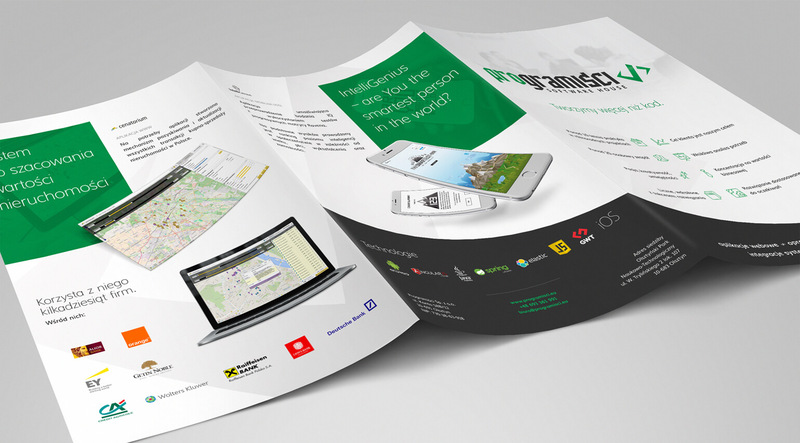 We have designed such elements as logotype, roll-up, leaflets and letterhead. All together creates a coherent and distinctive whole.